Bonds are fixed income investments and are usually considered secure. Before an investor evaluates the advantages of a convertible bond, he needs to understand this investment type. When buying a bond, an investor makes a loan to an indebted financial entity, called an issuer. The bond is a written promise that the issuer will repay the loan on the maturity date and the investor will receive a certain interest payment -- the coupon -- at regular intervals until maturity. Issuers usually pay interest semiannually. The bond’s interest rate is primarily determined by credit quality and duration. Convertible bonds are issued by corporations. 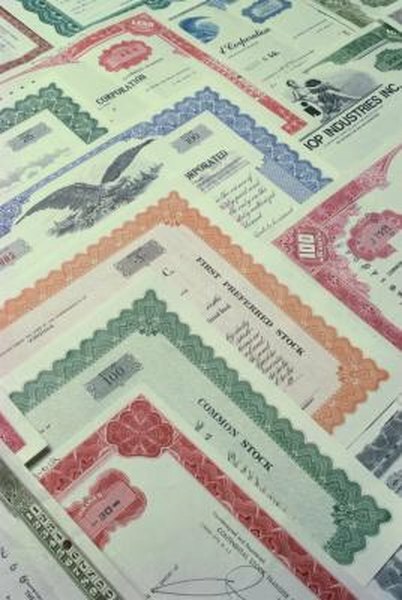 Because they can be converted into a predetermined number of stock shares at certain points of the bond’s life, convertible bonds are essentially bonds with stock options. The investor typically gets a lower rate of return but can trade the bond for stock rather than be repaid the cost of the bond. Issuing convertible bonds helps a corporation secure equity financing in a delayed manner, as it takes time for the bondholders to trade their bonds for stock. This process delays the common stock and earnings per share dilution. Corporations can sell bonds at a lower coupon rate than a standard bond because of the stock purchase option. The more the conversion feature is worth, the lower the yield it will need to sell the bond. Because convertible bondholders only receive a relatively small, fixed income, more operating income is available to the common stockholders until the bonds convert to stocks. This allows common stockholders to temporarily maintain voting control of the corporation while using the investment income from the convertible bondholders. Bond interest is a tax-deductible expense for the issuing company; for a corporation in the 35 percent tax bracket, the federal government effectively pays 35 percent of the interest charges on the debt through the deduction. A convertible bondholder can trade the bond for equity and achieve potentially high dividends should the company be performing well at the time of trade. If the company is not performing as well as desired, the bondholder has the security of a bond and the option of cashing in the bond at the maturity date. The value of a convertible bond cannot fall any lower than the price at which the yield would be on par with that of a nonconvertible bond of the same period. Convertible bonds offer safety in a bear market and allow investors to convert to equity when the stock increases in value. No investment is risk-proof, and even convertible bonds come with some risks. In general, though, they offer investors the advantages of a bond’s relative reliability with the option to convert to equity and realize an even greater yield. And they provide issuers a chance to raise capital at a lower interest rate and delay the dilution of their common stock.